How do you define Creative Non-Fiction? It's not quite journalism. It's not quite essay writing. Basically, it's writing that isn't boring. Who said writing had to be boring anyway? Probably your high school English teacher and that's only because the high school material is boring. Creative non-fiction requires imagination. It evokes an image, it draws on emotion, and it creates a lasting impression on the reader. When writing non-fiction you don't have to stay within modern journalisms restrictive standards of (imagined) objectivity. You want to use a perspective and make a case for it. The following articles and posts will help you understand the different ways you can use your imagination and still offer valuable content to your readers. Get Your FREE Ebook How To Write And Get Paid For It when you sing up for the Creative Writer's Ezine. I promise to use it only to send you The Creative Writer's E-zine. Learn To Write From Obama - He's one of the most powerful speakers of the century. He also has some lessons about creative writing. Work Through New Writing Assignments- Author and professional writer Nick Usborne discusses a few ways to work through writing assignments on topics you're not familiar with. What Is Creative Nonfiction?- What separates it from the standard essay or journalistic article? Like art, in some cases, it's in the eye of the beholder. Creative Non-Fiction Tells A Story - The distinction between Creative Non-Fiction and plain Journalism is hard to define but easy to recognize. The former pops off the page while the latter is just passed over. Why You Haven't Already Written 2,412 Books- As writers, we're told to "write what you know." There's a simple reason why that isn't good enough to fill the pages of an interesting book. Emotional Writing- Is it better to shy away from emotional writing or does it go emotions give your writing the power it needs? 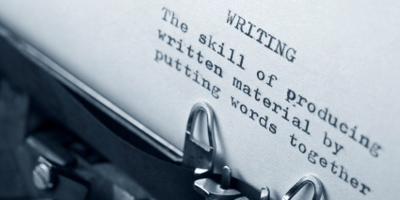 Writing Skills: Focusing On A Single Task-Author and profesional writer Nick Usborne is back. This time he talks about why focusing on a single task at a time is important for your writing. Evoke An Image - Good writing should evoke an image in the readers mind. Use concrete language to achieve this goal. How To Write Articles Quickly- You want to write articles with great content but you also want to write them quickly. It's not impossible. Here are a few tips that can boost the speed you write articles.